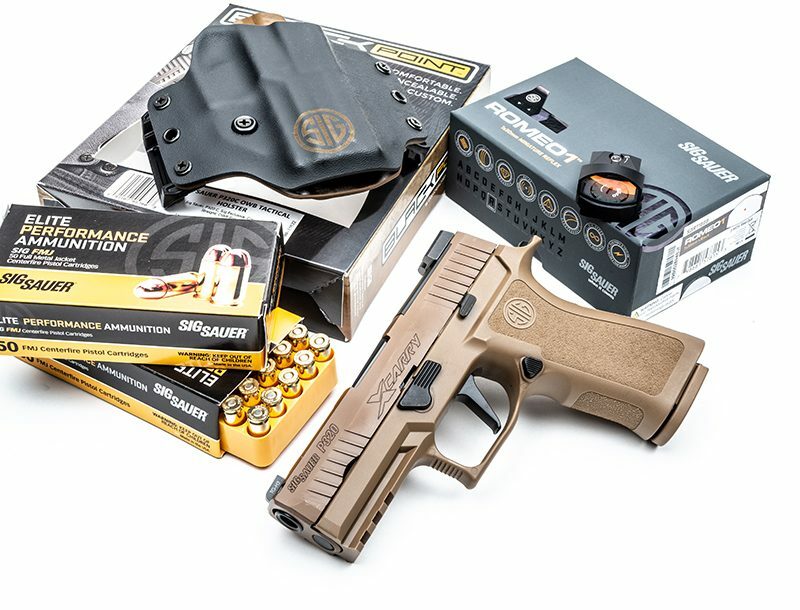 Guns and gear that caught our eye. This affordable heavy-duty, precision-machined, anodized high-strength aircraft aluminum-bodied light delivers a truly powerful 235-lumen LED bright white light where and when it matters. 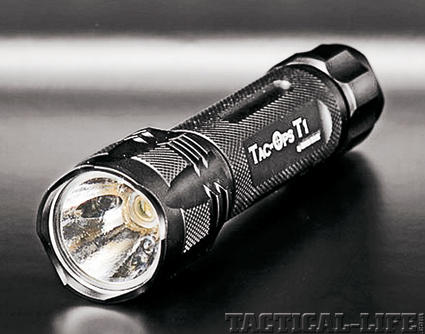 The Tac-Ops T1 can emit a fast flash strobe for signaling and has a battery saving low-light mode for normal use. 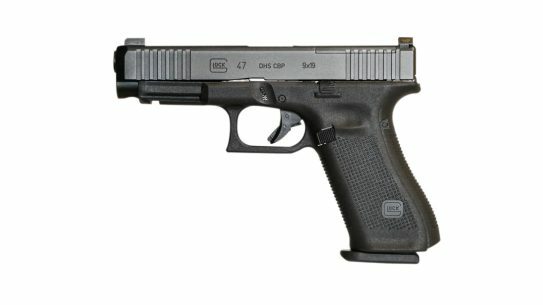 Operators can utilize three additional low-light color LED modes to meet additional tactical needs: red for low-light operations, night vision retention or emergency use, and a unique UV (blue) LED to search for blood. 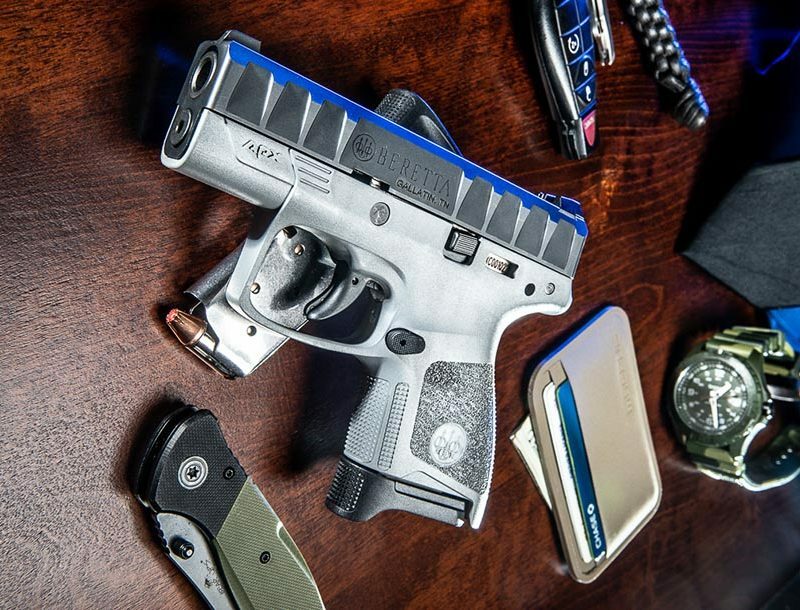 These various LED options and powerful white light modes afford several functions to meet dozens of law enforcement, military operational and civilian personal needs. For more information, call 512-263-6985 or visit riverrocklights.com. The Wilcox Fusion AMP Rail for the M4 Type Carbine provides a unique “electrical power management system” to control a line of Fusion accessories that do not feature a battery compartment. 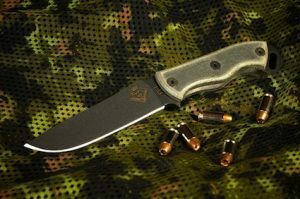 The Wilcox Fusion Vertical Grip Module is a 3-volt system that houses a “Quick Change” Grip Power Cassette, which can be adjusted at any point along the 6 o’clock rail for operational comfort and moves the weapon’s center of gravity for better weapon handling. One quick change of the battery recharges power to all of the attached accessories. The standard operating procedure of replacing all batteries before going out on patrol is eliminated, saving unutilized batteries. All Fusion AMP Rails are manufactured to MIL-STD-1913 specifications. The electrical conduit features a robust design to work in the rigors of combat and adverse environmental conditions. For more information, call 603-431-1331 or visit wilcoxind.com. The C4Grip is a software-defined, intelligent soldier systems enabler providing superior operational ergonomics and flexible soldier system integration via wired and wireless interfaces. The C4Grip leverages the core wired and wireless control technologies of the combat proven C4OPS tactical software defined hearing protection/hearing enhancement system, while incorporating built-in wireless joysticks/PTT and controls to activate laser aiming devices, personal weapon lights and tactical radios—reducing the switch and cable clutter on the weapon and forward grip. Smart features include communication and control without ever taking the hand off the weapon, wireless control of up to two radios (including hear thru and channel/volume remote control), wireless control of wearable computers—as well as a built-in knife and a Picatinny rail attachment. For more information, visit silynxcom.com or call 866-572-6950. 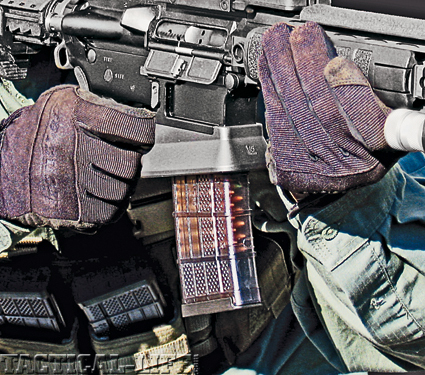 The Lancer L5 Advanced Warfighter Magazine (L5AWM) is a hybrid magazine that combines the best features of polymer and steel magazine designs. 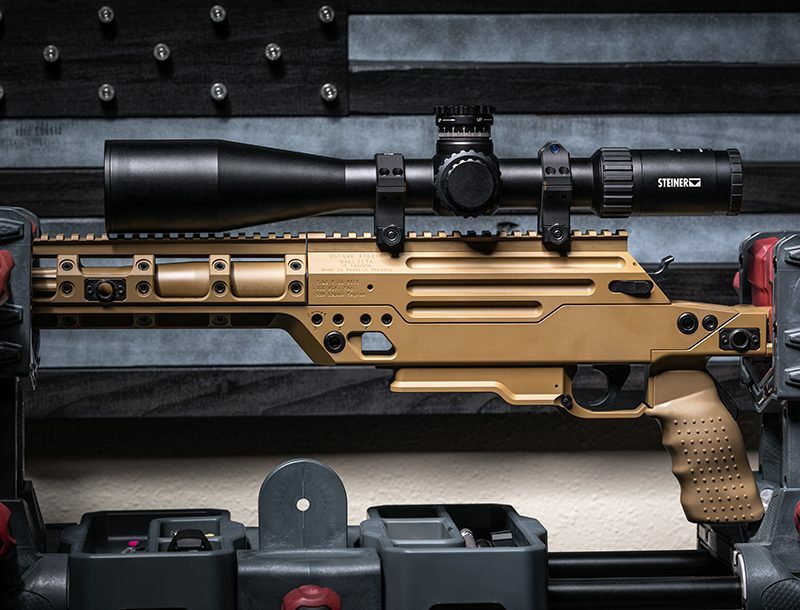 The unique L5AWM features a one-piece wrap-around steel feed lip assembly that is permanently attached to an impact-resistant polymer body. The L5AWM is compatible with a variety of modern weapon systems—including the M4/M16/AR, HK416, SCAR-L / MK16, and the ARX160 — available in 20- and 30-round capacity with a tinted translucent or opaque body in black, flat dark earth, olive drab and foliage green color. For additional information, call 610-973-2600 or visit lancer-systems.com.